The EnGenius Neutron Series of wireless management products can be mixed and matched to create ideal wireless connectivity solutions for hotels, resorts, high schools, universities, corporate campuses, sports stadiums and arenas and for other companies and organizations. This is a scalable solution for operations that occupy large properties and that need to deploy, monitor, and manage numerous EnGenius Neutron Series Wireless Access Points from one simple and accessible browser-based software platform. 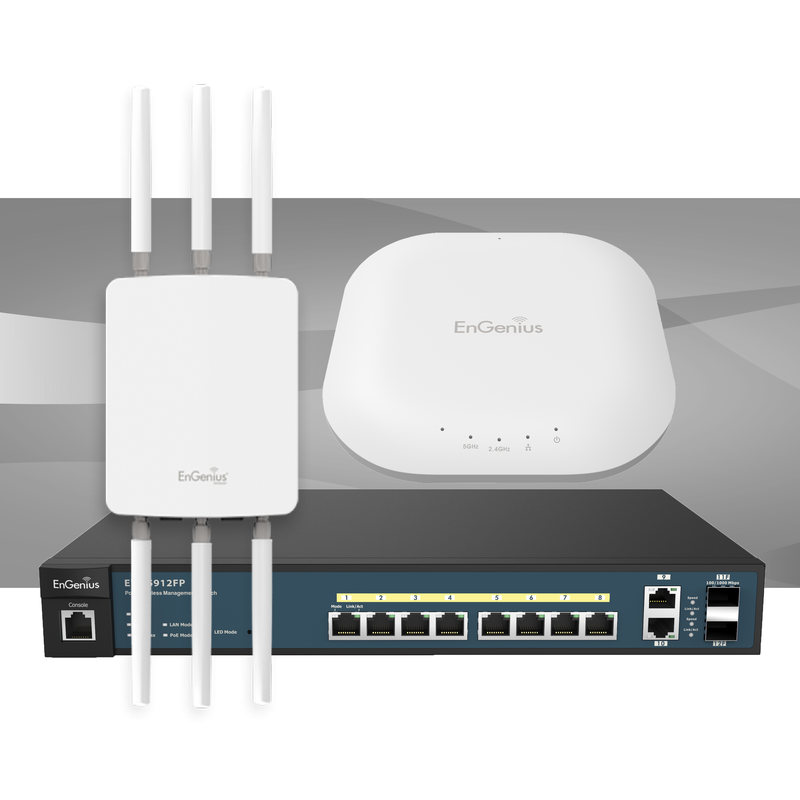 Neutron Series Switches can support any small number of Neutron Series Wireless Access Points to several hundred depending on the number of Neutron Series Switches in the network. Integrated Management, Smart Switch & PoE so lower cost! Settings and tools to optimize your wireless network to accommodate BYODs (Bring Your Own Devices) — tablets and smartphones and applications which access the network.